Cyberpunk 2077 is definitely one of the most promising RPGs coming in the future, and it seems like CDPR wants the game to be better than The Witcher 3 in every possible way, making even side-quests engaging and introducing some gameplay mechanics which will have big repercussions on the whole game. The latest issue of EDGE magazine, which has been summarized by Reddit user Jackjackea, revealed some additional details on the Cyberpunk 2077 quests. Apparently, CDPR wants to make sure that every quest will feel like a complete story in and of itself. The freedom of choice will also be unprecedented, and consequences of choices will manifest at a later time in the game. CDPR’s Patrick Mills also talked about the cyberpsychosis mechanic, which will bring a negative effect on the character’s mental health if they are over-augmented. 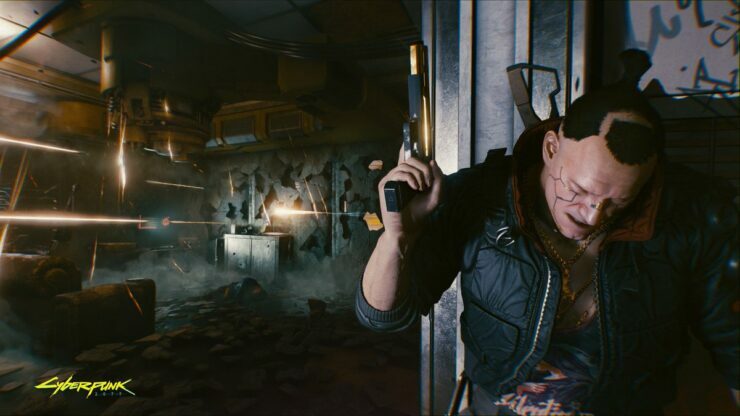 Cyberpunk 2020’s ‘cyberpsychosis’ mechanic, in which players who overly augment themselves with cyberware start to see a negative effect on their mental health, will form part of the game – though CD Projekt won’t go into details. As a quest designer, the Faustian bargain behind transhumanism is fascinating to Patrick Mills. “All the travails of the flesh fade away, and you become a perfect machine of chrome. But you had to buy those body parts from someone, and now you’re in debt to them; if you need parts, you’ve got to go to their store. You have this very utopian idea of being liberated by technology. And it’s like, not so fast – you haven’t solved the problems. The problems are still there, and technology actually makes them worse. ‘High tech, low life’ is one of Mike’s mottos. Cyberpunk 2077 is now in development for PC and consoles.